The thought of riding in winter is often worse than actually doing it and as long as you wrap up warm in the right kit it can still be just as enjoyable as it is in summer. Here are a few of my favourite base layers and kit that I won’t leave home without. Some of them have been mentioned before on 2Commute but they are very good so you deserve a reminder and they’ve all been tried and tested by us. There are loads of companies offering base layers, get to Aldi at the right time and you can pick up cycling, hiking or motorcycling under layers at bargain prices and they do the job for less than £15 (check their website for the latest specials). I use an Aldi cycling cap to stop myself getting brain freeze in winter, it’s basically a very thin windproof cap that is meant to be worn under a cycle helmet but it also fits comfortably under my Arai lid and is much less bothersome than a balaclava, you don’t have problems trying to see through a badly aligned slot like you do with a balaclava and it helps with dreaded helmet hair too (admittedly a skull cap isn’t as useful for committing bank jobs but it can get you to the front of a buffet queue at a Bar Mitzvah). Companies like Oxford, Furygan, Spada etc. all do their own base layers but the one I love is the EDZ Merino base layer, it’s long sleeved and made from 100% super warm merino wool. It’s also very thin and light so can be screwed up in a bag. It costs £40 but I’ve worn this for the last five years and it’s as good as new. Mine is black and easy to lose in a drawer or wardrobe so my tip is to buy a coloured one. One of the things that make us feel the cold is wind penetration, so a windproof layer is an essential part of the layering process. Layers help to trap in spare body heat and keep the cold out. I swear by Cold Killers. Like EDZ they’re also made by a British company (both are based in the Lake District where extreme temperatures and dodgy weather mean good clothing is essential). I’ve used a Cold Killers Sport Top for six years. It’s a fitted top made from a three layer laminate, which wicks moisture, is breathable, windproof and water resistant. Wear one over your EDZ base layer and you’ll be snug on shorter journeys without feeling trussed up like you would if you had a bulky jumper on beneath your jacket. I’ve recently started using a Cold Killers Wind Buddy instead though; it has similar styling to the Sport Top but has a full-length zip, isn’t fitted and can be worn over a jumper. The third Cold Killers item I swear by is a Cold Killers Maxi Tube, it’s a wind and water resistant snood, it’s comfortable and works perfectly. I’ve probably done 60,000 miles in mine and it’ll last another 60,000. Christmas is coming up and if you can’t think of something to put on your Xmas list I’d suggest asking for a heated vest. It really is the best bit of kit I own for winter riding. Imagine living in a freezing cold house and knowing the electric blanket is warming your bed up nicely for you, well that’s the kind of cold weather comfort you get from a heated vest. You see a cold weather forecast and get excited about riding; they beat heated grips hands down. I use an Oxford Inox vest, it costs around £146 and plugs in to the bike/scooter battery or 12v socket. It’s thin, very warm and comes with a four position heat controller. I also have an Alpinestars vest (around £100), it’s thicker and nice and warm but you have to buy a separate heat controller at around £49.99 because it only comes with a simple on/off switch. 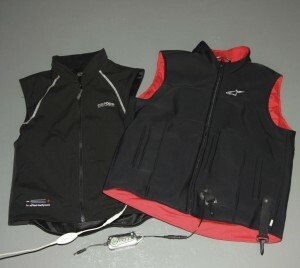 Both vests are fantastic and make longer winter journeys so much more appealing, I run both vests on my Vespa GTS 300 when two up and have had no problems with power drain. 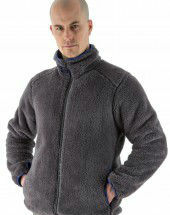 The warmth of fleece is worth its weight in synthetic sheep, my personal favourite comes once again from EDZ. 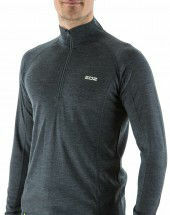 It’s called the Yeti, costs £50 and really is a nice comfy and warm layer to have between your Merino wool and Cold Killer. This will be my sixth winter in my Yeti and although it’s picked up a bit of fluff over the years it still does the job. It also helps to keep me warm whilst camping. You can’t, or at least shouldn’t scrimp on a jacket and trousers. They’re the first barrier between you and the weather; they also take the impact if you’re unlucky enough to part company with your machine. 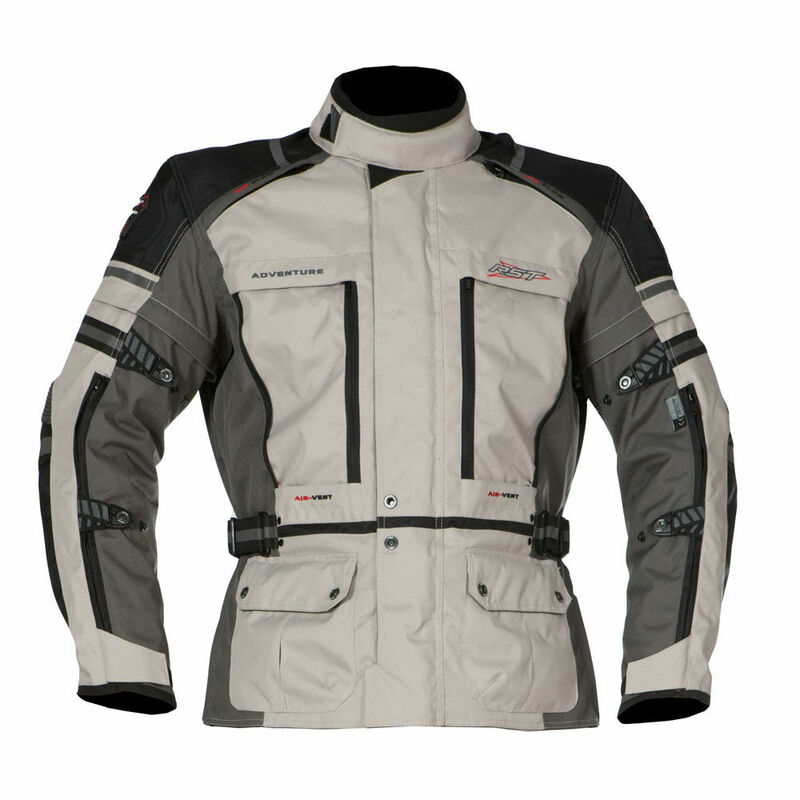 If you’re a year round rider you’re best off buying a jacket that is adaptable for all seasons. 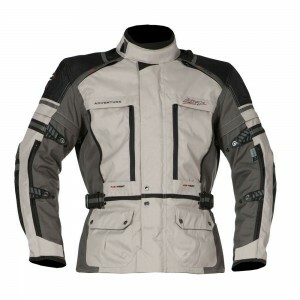 This RST Adventure kit is excellent in all weathers, for summer it has zip off sleeves (for the ‘proper’ adventure rider), loads of mesh panels and openers for ventilation but it is also 100% waterproof, comfortable and comes with CE armour in the knees, elbows, shoulders and also has a back protector. There’s even provision for a Camel pack if you get thirsty on the move. 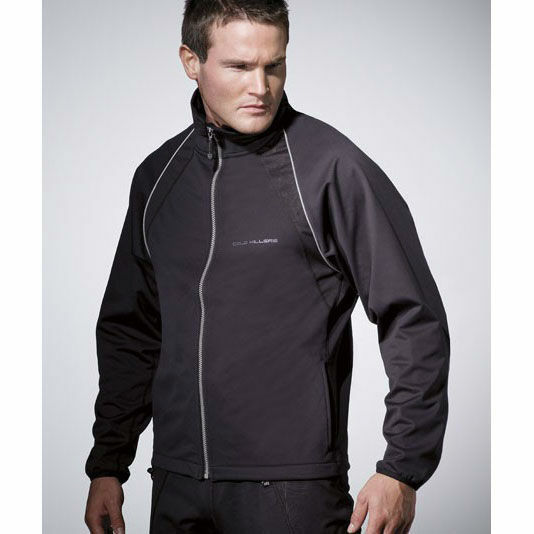 This is another garment designed by a British company, designed by riders who know what works in all weathers. It costs £219.99 for the jacket and £179.99 for the trousers but is well worth the money. Scooter riders in particular scrimp on kit and wear trainers or old DM’s, neither of which offers much in the way of protection, even less in warmth and waterproofing. These short TCX X-Cube boots have a leather/suede outer and are as comfortable as anything I’ve ever worn. They’re CE approved, have an Air Tech breathable lining to stop your feet from sweating, whilst remaining warm enough for me to do a couple of hundred miles in sub zero temperatures without getting cold feet. 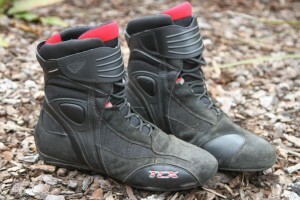 They’re also 100% waterproof, as tested by myself in monsoon long distance rides. They cost around £114 and like every item in this feature come well recommended by us.